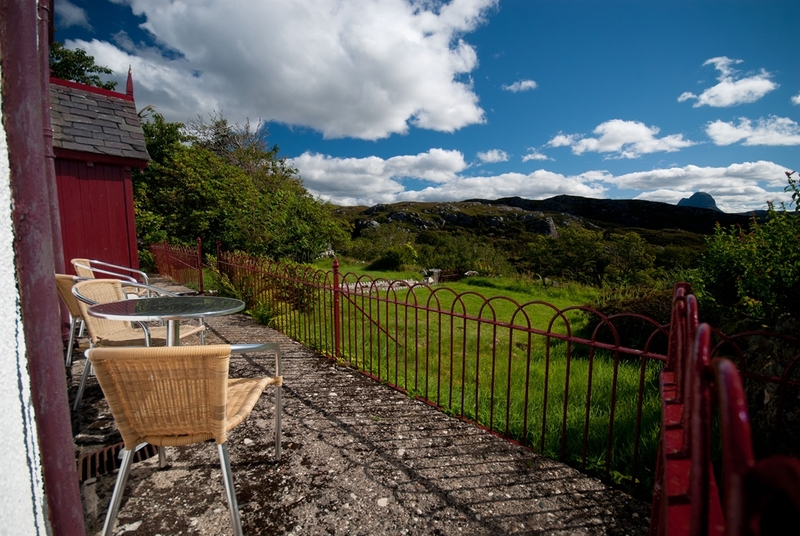 Nestling in a secluded glen with glorious views of the mountains of Assynt and Wester Ross this is the perfect setting for a peaceful and relaxing holiday. Glendarroch House is a traditional Highland home built some 170 years ago and in the ownership of the same family ever since. 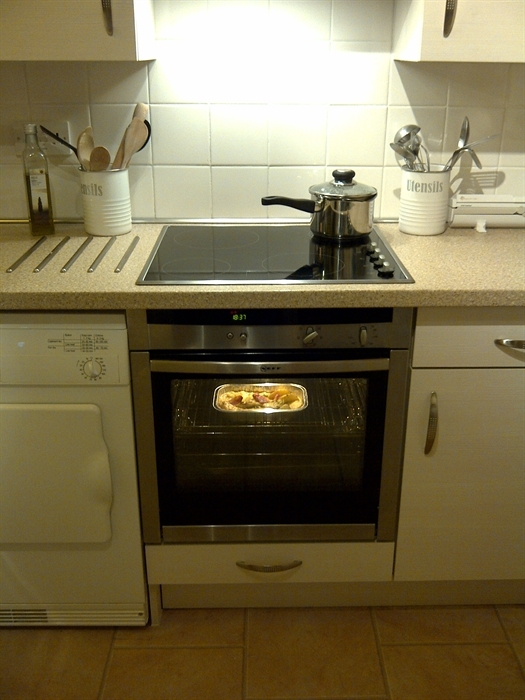 It has been fully modernised to the highest standards whilst maintaining its unique and original character. 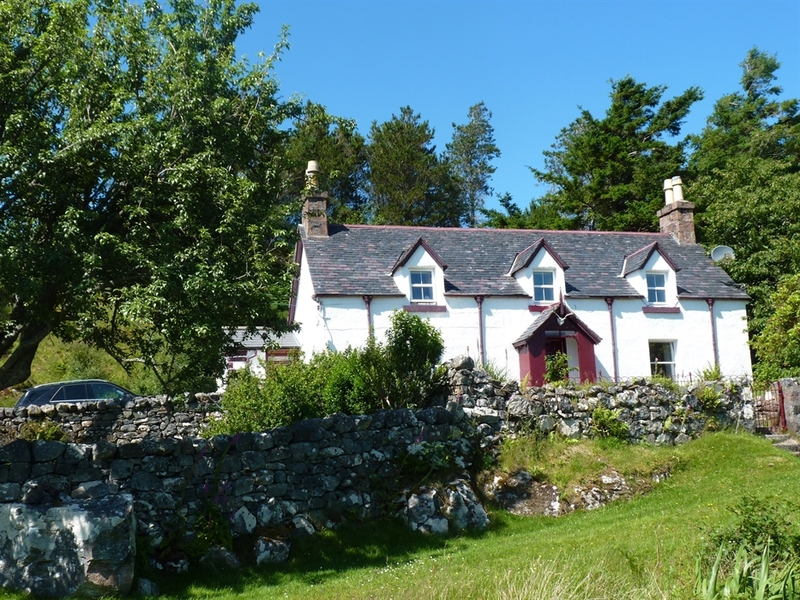 The house is perfectly secluded, yet close to the village of Lochinver with its full range of shops, services, restaurants, etc. It is ideally positioned for exploring Sutherland and Wester Ross and, if you feel fit, there is nothing to stop you walking off in any direction. 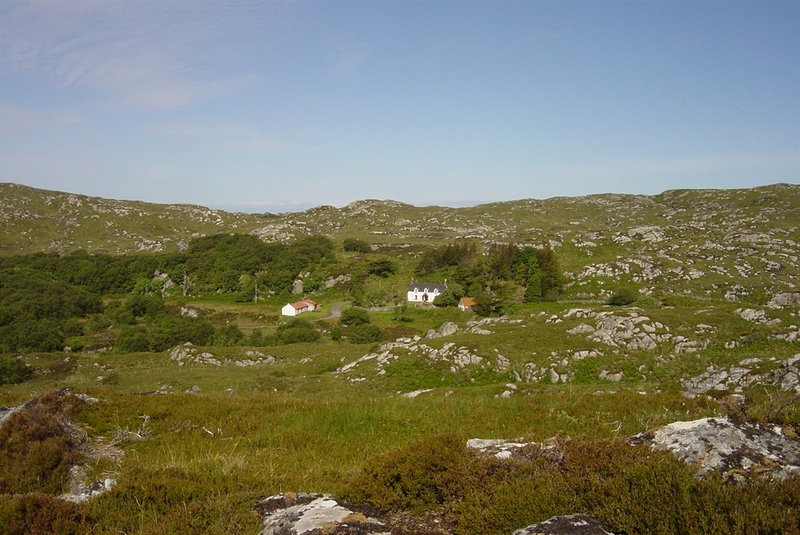 Assynt is famous for its trout fishing and there are a number of small lochs within walking distance from the house. The grounds extend to 15 acres and immediately surrounding the house is a walled garden with grassy lawns, mature trees and rhododendrons. Weather permitting there is even a waterfall on the adjacent burn! Glendarroch (the Gaelic name meaning 'Glen of the Oak Trees') is so called because it has some of the most northerly natural oaks in the country. Nature and wildlife are all around with red and roe deer as frequent visitors. The rare badger and otter have even been seen, literally at the doorstep. If you are lucky, you may spot a buzzard or golden eagle from the window among the many birds attracted by the woodland. 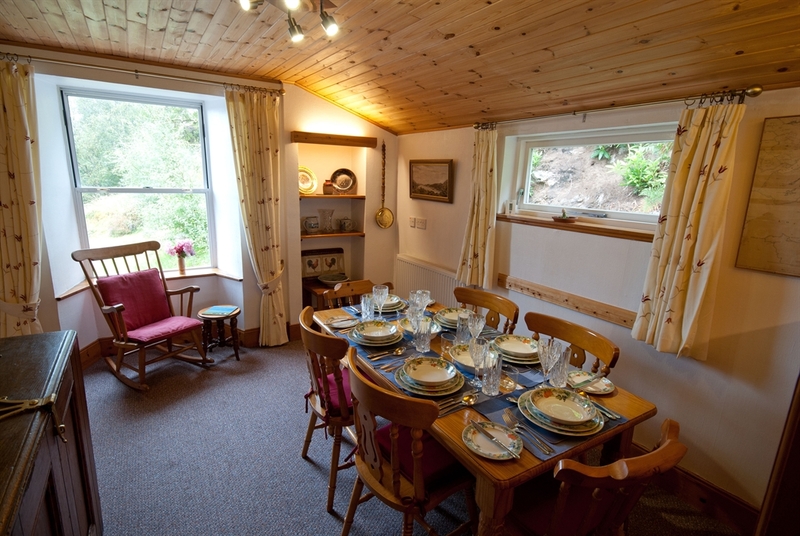 Glendarroch sleeps six in total comfort with a choice of single twin and double rooms. 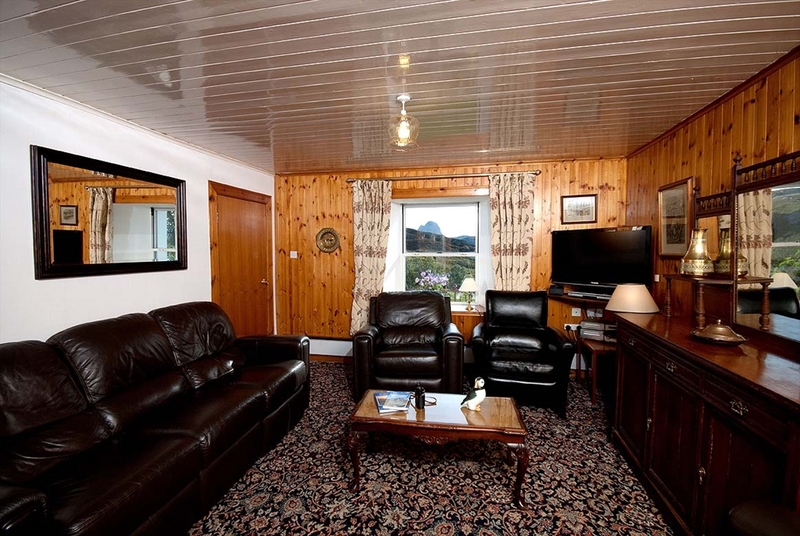 With car access to the door, and a downstairs bedroom beside the bathroom, it is ideal for the elderly or walking disabled. It is fully equipped as a home with a well-stocked library, full central heating, hot water and bed linen all included in the price. Many who have stayed in Glendarroch have remarked on the special sense of peace and tranquillity. It is an ideal family home and children particularly enjoy the sense of freedom and space. We hope you can have a memorable holiday there too.